FRACTER, a mobile game recently released on iOS and Android, won the Fan Favourite award at the Game Development World Championship (GDWC). It was one of six games to be nominated in that category, and was the sole Canadian one. 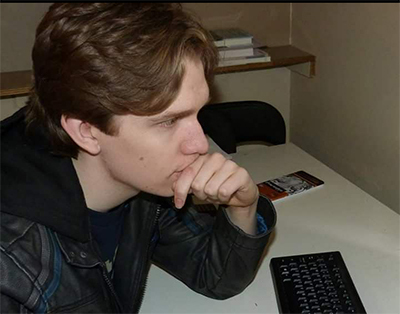 He previously told this reporter that he likes FRACTER for its unique art style, and presentation, and has enjoyed games his whole life, ones that “create varied gameplay each time they're played,” with different elements that create diverse experiences that change each time. FRACTER beat out five other games for the award, including: Haimrik, from Below The Game, Colombia; Hand of Fate 2 from Australia's Defiant Development; Smile'N'Slide by Mykhail Konokh, Ukraine; Songbringer from Wizard_fu, USA, and Suicide Guy by Chubby Pixel, Italy.